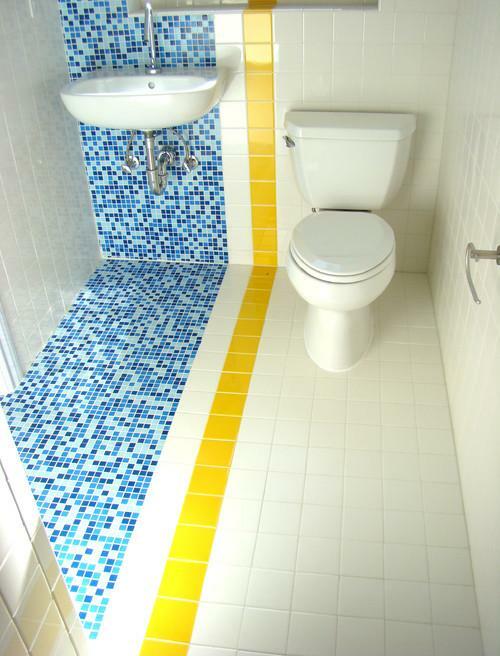 Really small bathrooms can be incredibly challenging to design. When there is hardly room for a toilet and sink, let alone a shower (a tub being totally out of the question), the usual fixtures and room layout simply will not do. 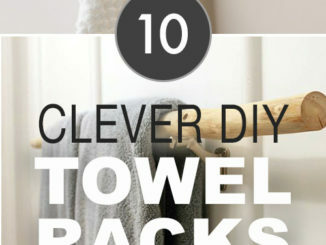 These nine ideas go beyond simply making your bathroom look bigger and actually free up more space. 1. European-style wet bath. A wet bath is exactly what it sounds like: a bathroom where everything can (and does) get wet. 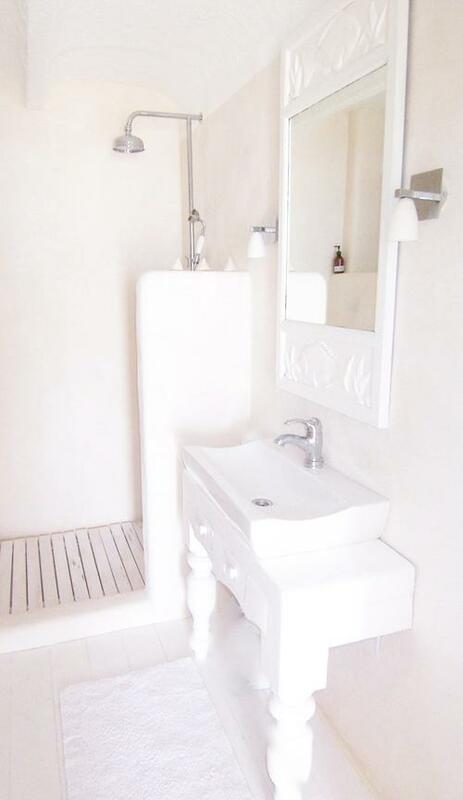 This style of bath is quite common in Europe, where you will often see a tiny bathroom with the showerhead directly over the toilet, a small sink on the side and a drain in the middle of the floor. 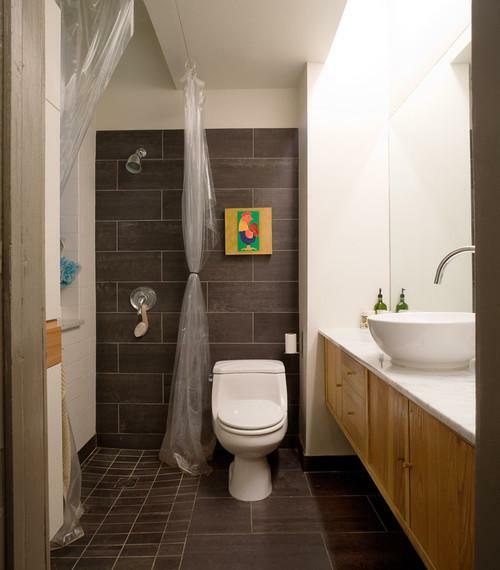 By forgoing a shower surround, you can really maximize square footage in a small space. Wet bath a little too wet for you? Add a shower curtain on a ceiling track. If you plan the layout so the shower nozzle doesn’t spray directly across the toilet, you’ll have the option of dividing the space with a shower curtain. 2. Wall-mounted toilet. 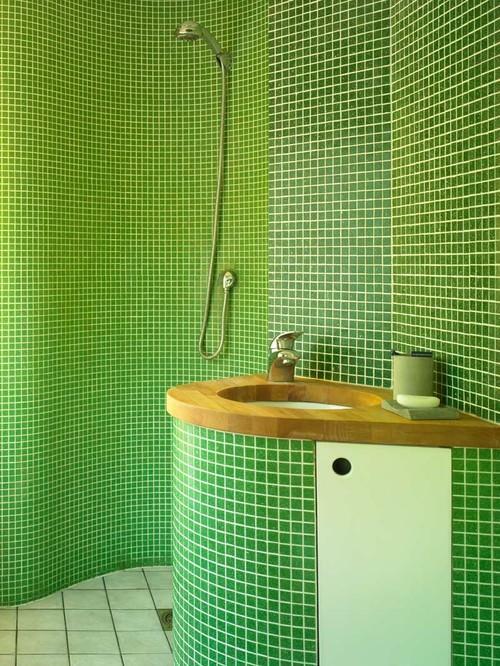 This wet bath has another feature widely used in Europe — a petite wall-mounted toilet. This style of toilet might look a little flimsy, but it’s actually quite strong when properly installed. Not having the center pedestal and upper tank to contend with makes this a major space saver. 3. Compact shower stall. 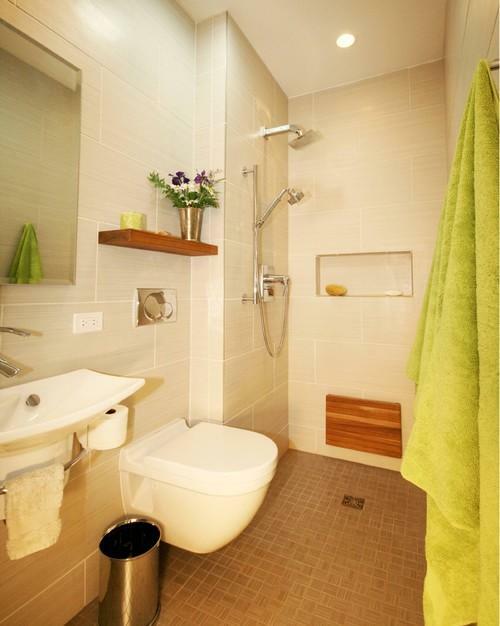 A mini shower stall with a partial wall is another good option, somewhere between a traditional shower and a wet bath. The openness makes the room feel larger, but the partial wall offers some sense of division. 4. Flat mirror plus narrow sink. A regular mirror instead of a medicine cabinet has two benefits: its slim profile visually expands the space, and it allows for a narrower sink profile than a fat medicine cabinet sticking out above. 5. Teardrop-shaped sink. Curves feel more welcoming than sharp angles in a tight space, and this unique teardrop-shaped sink is both a space saver and a focal point. The curved shower wall in this wet bath echoes the lines of the sink, creating a smooth and seamless look. 6. 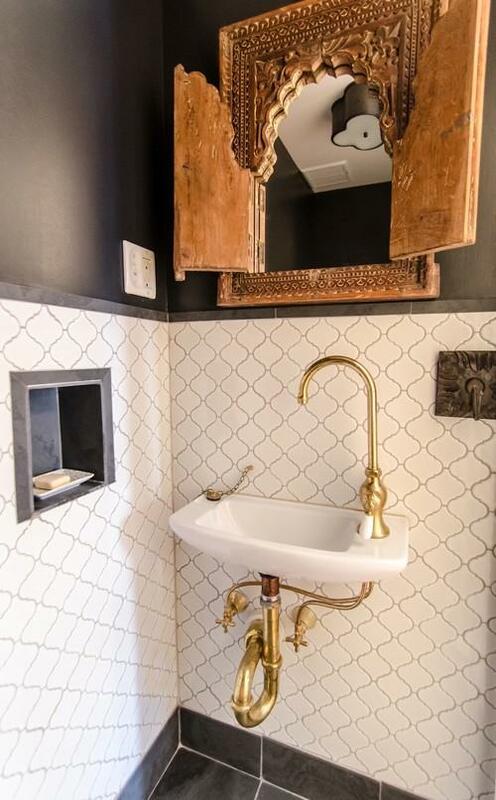 Water fountain–style sink. With a smaller scale than most sinks out there, a single-basin, single-handle, gooseneck faucet sink can fit into even the tightest spots. And it looks pretty swell doing it. 7. Sliding door. The designers of this space-conscious houseboat chose a sliding door to save room. The swing of a traditional door can eat up a lot of floor space; go with a pocket door or sliding barn door instead and save that precious square footage for other things. 8. 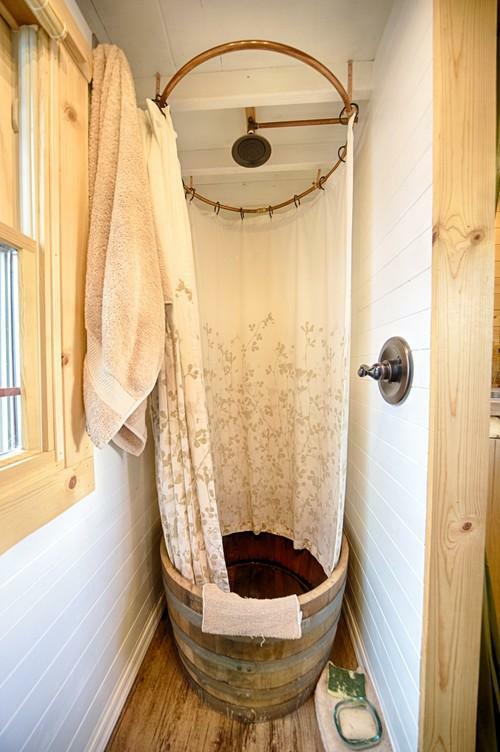 Shower in a barrel. Rustic, charming and certainly not for everyone, this may be the most creative reuse of a wine barrel we’ve ever seen. 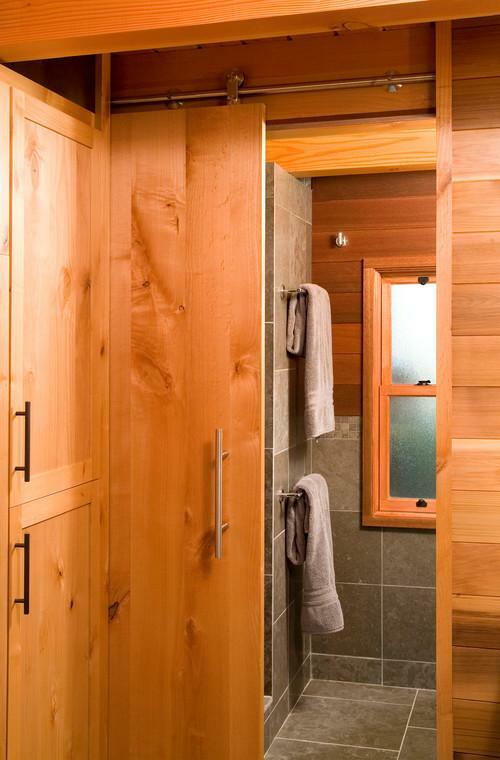 The homeowners must wipe out the interior of the barrel after each shower to keep the unsealed wood in good shape, but it’s worth the effort for its scale and unique good looks. 9. Custom-fit shelves. Hard to find storage space? 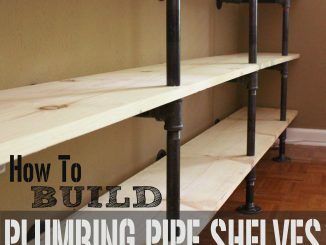 Look closely and you may find a few nooks to tuck shelves into. 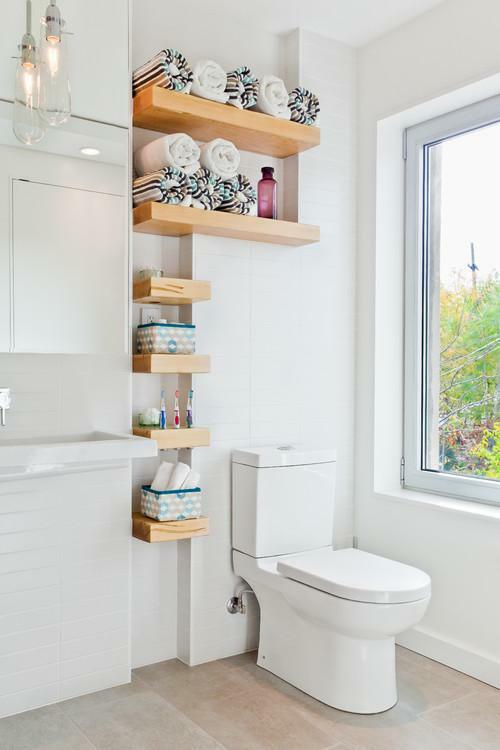 Even 6-inch-wide shelves can be enough storage for toiletries, washcloths and extra soap. Don’t forget to look up, too — a high shelf or two can be a lifesaver if you need a place for extra towels.